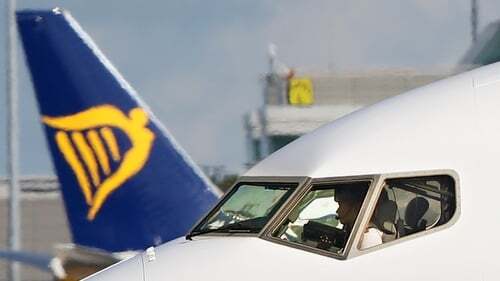 Ryanair has today signed a deal recognising Italian pilots union ANPAC, its second such agreement in a major market amid talks across Europe aimed at averting strike action. The airline halted widespread strikes before Christmas with a shock last-minute decision to recognise unions for the first time in its 32-year history. That came after it had to cancel 20,000 flights earlier last year due to piloting roster issues. Pilots in the airline's two largest markets - Britain and Italy - have reached agreement with management. Ryanair said this week that it expects to finalise a deal with pilots in its third biggest market in Spain within the next month. "This agreement validates the decision of Ryanair's board in December to recognise unions," the airline's chief people officer Eddie Wilson said in a statement. "We are making good progress with unions in other major EU countries and we hope to sign more recognition deals with pilots and cabin crew unions over the coming weeks and months," he added. The Italian union said in a statement that the agreement was "historical for Italian pilots", who had engaged for years in seeking union recognition together with clear job and salary conditions that are in line with other countries. It said its Italian operation currently accounted for almost 80 of its 400-plus fleet of aircraft. Added to January's recognition deal with Britain's BALPA union, it means agreement has been reached with more than 45% of its pilots. Progress had been slow elsewhere and chief executive Michael O'Leary warned again this week that the carrier expects some disruption to flights in the coming months, notably into and out of Ireland and Portugal. Ryanair's chief operations officer Peter Bellew has said that the company expects to achieve a collective wage agreement over the coming months in Germany where pilots staged the first-ever pilots strike at Ryanair in December.